We have done some research and noticed that more and more customers are calling us from their mobile phones, and nowadays mobile calls to local numbers are included and unlimited on most mobile phone plans, but calling a 1300 numbers are not. 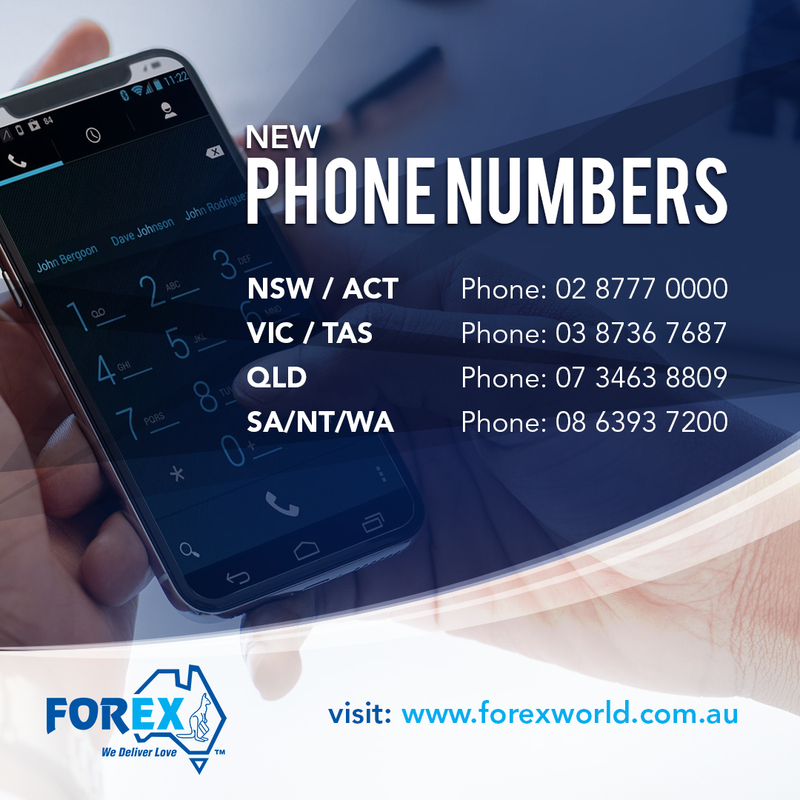 Because of this we decided to get interstate numbers to cover the whole country which means you will save money when contacting Forex World Australia using our local numbers when using your mobile phone. Now that we have local numbers for you, we will slowly decommission our 1300 number in the near future so we urge you to save the number that corresponds to your local state on your mobile to ensure we continue to get your calls in the future.